Whether your muscles are sore from an intense workout or you’re just suffering from chronic pain, we are all just looking for products to ease our discomfort. Luckily, there are a host of topical creams that can help. You can choose based on the ingredients used. 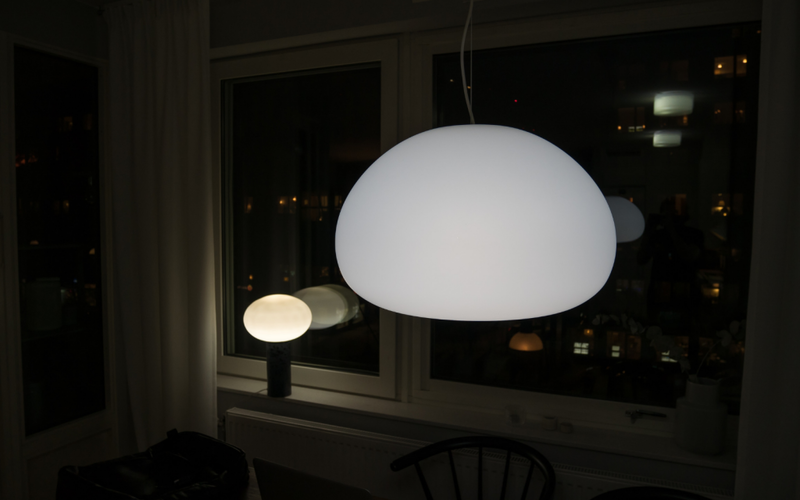 There are also creams which provide either a cooling or a heating effect. Moreover, these are available in the form of different products, such as lotions, roll-ons, and gels. Pick one as per your convenience. We’ve listed a few of our best-recommended products below for you to try out. Say goodbye to aches and pains with Penetrex Pain Relief Cream. 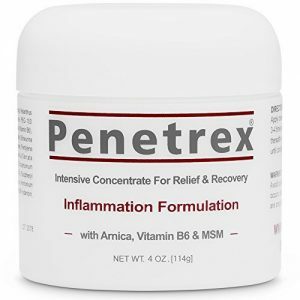 Penetrex Pain Relief Cream targets inflammation at the root of the problem and instantly soothes your pain. You can apply it anywhere you are experiencing discomfort or numbness — be it your back, neck, knee, hand, foot, or any other body part. Furthermore, it is paraben-free and contains all clinically proven ingredients, such as arnica, choline, glucosamine, and vitamin B6. The texture of the cream is thick, but it quickly gets absorbed by the skin. So you’re not going to be stuck waiting for it to dry. Now, we understand how some of us can be very sensitive to smells. It may not be completely odorless, but it’s safe to say that it has a light stink, which goes unnoticed. Apart from this, we think that the price is a bit over the top. Otherwise, we couldn’t find any other flaws in it. 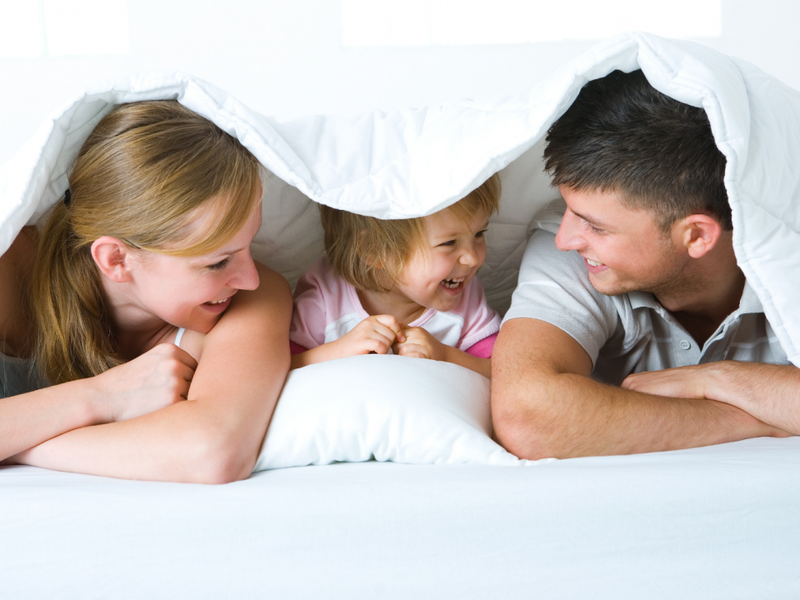 If you still have your doubts, you can always return the product and get a 100% money refund. Since time immemorial, aloe vera has been considered an excellent natural healing plant. And why not? It almost magically makes the pain disappear. Real Time has infused its healing benefit to their cream, and we get instant pain relief most naturally. Real Time Pain Relief Lotion has a blend of all high-quality natural ingredients, including aloe vera, menthol, emu oil, willow bark, and more. It doesn’t contain GMO and is entirely free of paraben and any other artificial dyes. When you apply the lotion, there is no burning sensation, but you’ll feel that the pain is just disappearing. This cream also doesn’t cool or warm your skin like many others. But it works well for some ailments, such as back pain, arthritis, muscle strain, cramps, sprains, bruises, and more. Moreover, it dries quickly, and you don’t have to worry about staining your clothes. It sounds amazing! But one thing that caught our attention was its odor. Some might have a problem with it, as it smells a bit like menthol. It depends whether you like that or not, based on your taste, but the scent fades away quickly once your skin absorbs the cream. 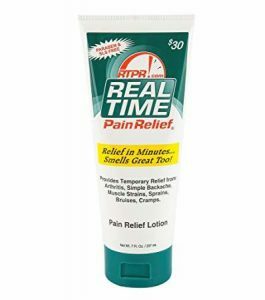 So overall, we would still give a big thumbs-up to the Real Time Pain Relief Lotion. In a nutshell, here are its pros and cons. The best way to distract the body from the pain is by providing a cooling effect. 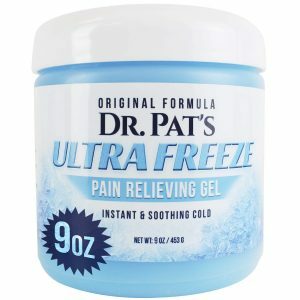 And Dr. Pat’s Ultra Freeze Pain Relief Cream is an excellent choice for those who have sore muscles and joints, or arthritis. The ointment takes about 10 minutes to work, but it gets quickly absorbed by the skin. As a brainchild of Dr. Pat, it renders a cooling sensation which intensifies with time. Although they claim that the soothing feeling lingers for 30 mins or more, we felt that it didn’t last for more than 20 mins. The formula contains menthol as the primary cooling agent, as well as a blend of other ingredients. So we expected an overpowering smell of menthol to take over, but to our surprise, it only has a mild mint, and the odor doesn’t even last for long. So if you’re smell-sensitive, this shouldn’t be your concern. And they even give you a 100% money refund with no questions asked if you’re not satisfied with the product. Some prefer cold therapy, while others like it hot. Hot treatment works wonder for sore, stiff muscle pain. It also provides excellent relief for arthritis, muscle spasms, menstrual cramps, and more. If you’re looking for a warm therapy gel, look no further. 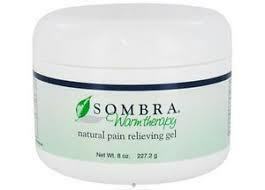 We tried the Sombra Warm Therapy Natural Pain-Relieving Gel, and here’s what we found out. The first thing that we noticed was its smell. Since it’s made of natural extracts, the odor is orange-like which can be distracting for some, but once the gel is rubbed into and absorbed by the skin, that stops being a problem. Also, it doesn’t contain any artificial dyes or fragrances. Other than that, we found the product quite useful. It gives a warming sensation which helps reduce aches and pains. The gel is thick, but it easily slathers onto the skin. 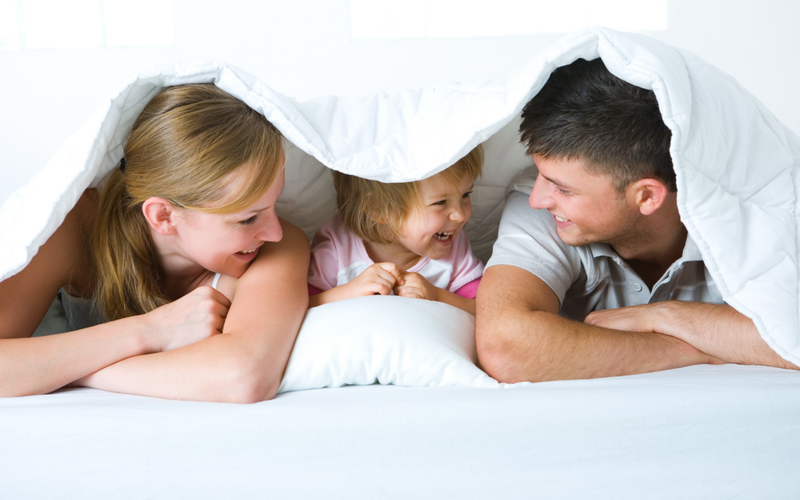 It feels smooth and easily gets absorbed too; that means you don’t even have to worry about staining your clothes or bed sheets. Furthermore, the gel comes in a small container which can be easily carried inside a purse or a bag. That’s another plus point. Finally, always wash your hands after application to avoid getting it in your eyes or around their general area. One good thing about a roll-on is that it is easy to apply and handle. It allows you hands-free application, and thus, you don’t have to worry about accidentally rubbing it in your eyes. Outback All-Natural Pain Relief Roll-On is a great pain-reliever made of four natural ingredients — vanilla, tea tree oil, eucalyptus, and olive oil. These ingredients relieve pain by minimizing inflammation. Moreover, you should know that it is GMO-free and not tested on animals. Furthermore, this oil quickly penetrates the skin, and there were no complaints about the odor too. It’s a nice blend of vanilla and eucalyptus smell. But if you’re still worried, let us tell you that the scent doesn’t stay for long. You also should note that the formula is meant to be re-applied frequently, and it doesn’t even heat or cool the skin to mask the pain. 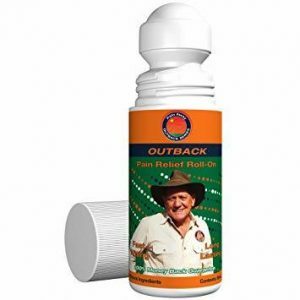 All in all, we recommend you use Outback All-Natural Pain Relief Roll-On to get rid of your unwanted joint or muscles aches.